Assemble the holder’s pieces together, connecting the 3” plate to the 4” pipe. Fasten the 90-degree elbow piece to the other end of the 4” pipe. Attach the 12” pipe to the open end of the elbow piece, and twist on the cap. Decide where on your garage’s wall you want to hang your Tiger Towel® holder. Place the plate of your holder against the surface where it will hang. Using your pencil, mark the drill holes. Drill your holes. Place screws in each of the plates holes, align holes with pencil marks, and drill them into your surface to keep your holder in place. When every inch of your home’s space counts, sometimes you need to get crafty when it comes to storage solutions—even in the garage. 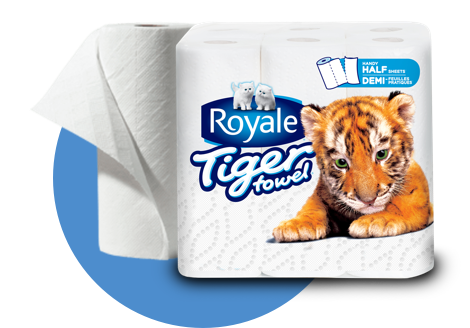 And you can use this tip anywhere in your home—on a bathroom wall, on a kitchen cabinet—wherever you’d like to keep Tiger Towel® within reach. Just follow the same process, but keep in mind, if you choose to attach it to a cabinet, you’ll need 4 nuts and bolts (instead of screws) to secure your holder to the inside of the cabinet so it holds strong.